What is 'Mindfullness' and Why Should I Try It? If you haven't heard of "mindfullness" yet, you will. There is an explosion of research revealing that becoming aware of your 'awareness', lends many secondary benefits. I've developed a series of guided meditations that are geared toward first time and new meditators. If you've tried meditating before and you "couldn't concentrate", don't worry, that's normal. Maybe you thought "Meditation isn't for me." or "I don't have enought time to do this." If you identify with these statements - these meditations are for you. My guided meditations work better than most other guided meditations because of these few key reasons. 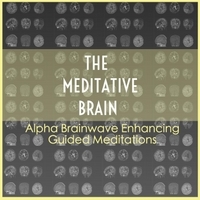 2) The guidance uses a white noise to immediately amplify your alpha brain waves (which help you achieve the brain state necessary to achieve the beneficial states in the list above. 3) The guidance uses isochronic tones that force your brain to match the pulsing alpha or theta frequencies. Don't get suckered in to "Binaural beats". They don't work as well as isochronic tones. So don't waste your time or money. 4) The guidance uses sheppard tones to help guide you to a slower relaxed state.